Technology in the automotive industry is advancing at an incredible rate, and if you own a business that requires the use of vehicles such as vans and trucks, it’s essential that they are kitted out with the very best safety measures that money can buy to protect your drivers and everybody else on the road. In Europe, an accident recording device is one of the 11 safety measures set to become mandatory in 2021, and it’s easy to understand why. There are so many vehicles on the road now, and the chances of having an accident or getting into some form of scrape increases as a result. That is why many businesses are investing in and installing accident recording devices into their work vehicles so that they have footage to refer to if any of their vehicles are involved in an incident or accident while out on a job. It’s a superb way to protect yourself against any blame, should the incident not be the fault of your driver. Sometimes the best safety measures come in small packages. Wheel nut indicators have become increasingly popular, and when it comes to work vehicles, you need the safest wheel nut indicators in the world to ensure that your wheel nuts don’t become loose without you noticing and replacing them first. These great little add-ons will save you a lot of time and effort having to stop while out on jobs. Once your wheel nuts start to deteriorate, you’ll know it’s time to make a change, which can prevent you having your van off the road for a long period. The more technology improves, the better the safety systems on your vehicles will become, and there has already been a number of advances in this area. Many new trucks and vans now have reversing camera and detection systems built-in, and enable drivers to reverse and park without doing so blind and using their judgment. You can simply follow the details on the screen and line up your vehicle with space where you’re parking. It will cut down on any unnecessary bumps and scrapes, as the detection system warns you with its beeping system if you get too close to a curb or vehicle, and ensures that you keep in your marks. Another superb safety feature that has come along in recent months is the lane departure warning system, which helps keeps your vehicle within the correct lanes by using a camera to check for lane divisions and alerts the driver if they are moving outside of their boundaries. The built-in system is especially useful for when you are driving at night on winding roads, as it works to maintain the center of the lane that the system detects. It means that if for any reason you suddenly found yourself out of your lane, the system would kick in and guide you back there. 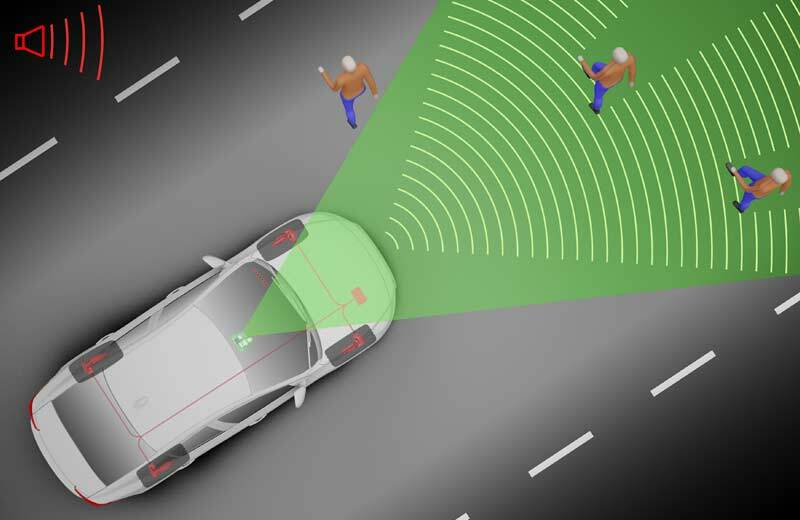 If there was any sign that the automotive industry was moving towards a self-driving future, the lane departure warning system is certainly one of the best examples.